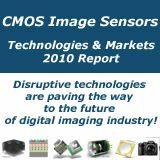 Image Sensors Europe (ISE) is Europe's only commercially focused conference for the entire image sensors supply chain. This year's edition will feature the best conference programme ever, plus an exhibition and unrivalled networking opportunities. 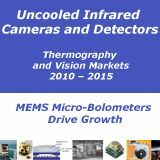 The programme will cover image sensor market analysis, innovations in image sensor technology and system architecture as well as novel developments in image sensor applications and large area sensors. Speakers’ line-up includes Harvest Imaging, ST Microelectronics, Dalsa Corporation, Sony Corporation, Aptina, CSEM, CMOSIS, Tessera, Philips Research Laboratories, Siemens AG and many others ! 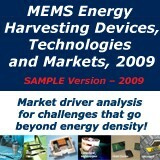 Boston-The Strategy Analytics report “Emission Mandates Boost Automotive Gas Sensors,” forecasts that tightening emission and fuel economy mandates, including legislation in the emerging markets, could result in the annual deployment of 177 million gas sensors in the market by 2017. The majority of these sensors will measure oxygen in the exhaust system, with sophisticated wideband planar sensors coming to the fore. In addition, there will be growing demand for nitrogen oxide (NOx) sensing in the exhaust emissions of diesel and lean burn engines, as well as greater opportunities for cabin air quality sensors (AQS). Other sensors in development focus on ammonia exhaust emissions and sensors to detect hydrogen leakage in fuel cell vehicles. 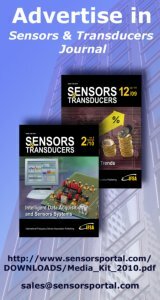 In the meanwhile, vendors are continuing to enhance the performance of their sensors and develop more cost effective, flexible and smaller sensing modules. 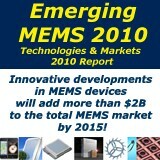 MEMS technology, for example, has enabled size reduction in AQS sensors, while accurate wideband oxygen sensors meet the demand for new direct injected engines.